Penn State Extension Philadelphia Master Gardeners : Wild Flowers?? It is hard to remember sometimes that every ornamental and flowering plant we grow in our gardens and houses has its origin in a plant that grows wild somewhere in the world. This was brought home to me when hiking in southern Italy this fall. 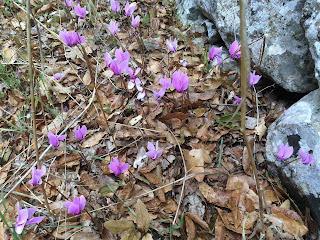 Along the sides of the roads and carpeting the oak forest floor are thousands of wild cyclamen in various shades of pink. Gardeners are most familiar with the fickle florist’s cyclamen -- Cyclamen persicum -- with its gaudy and large white, red, or pink flowers. 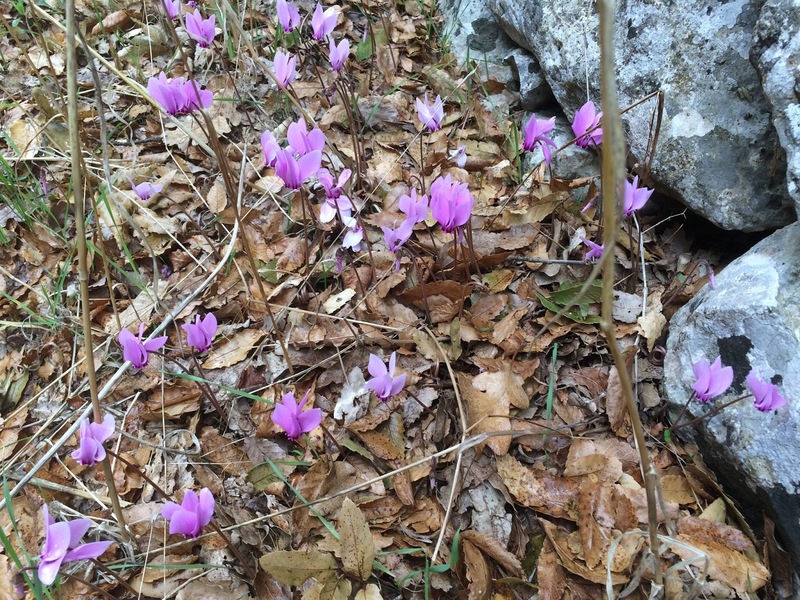 The wild Italian plants are ivy-leaved cyclamen – Cyclamen hederifolium. There are some reports that it can be hardy in our area. Older plants have tubers of as much as 10 inches in diameter, and are known in Italian as “pan porcino”, as they are a favorite food of pigs, including the wild boar that frequent Italian oak forests. 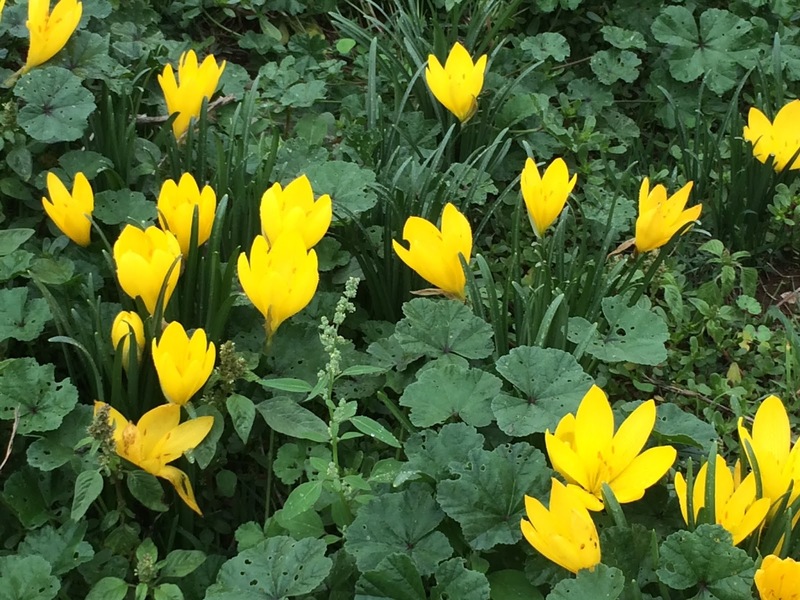 Rocky limestone slopes are often carpeted with beautiful yellow fall crocuses – Sternbergia lutea. 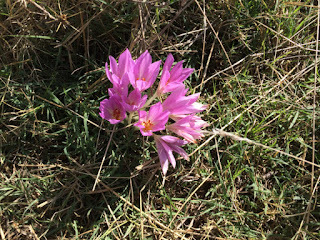 Although not related to true crocuses they are similar in flower structure. These can be grown in our region if you can find the bulbs, and have an alkaline patch of soil, for example, near a wall. 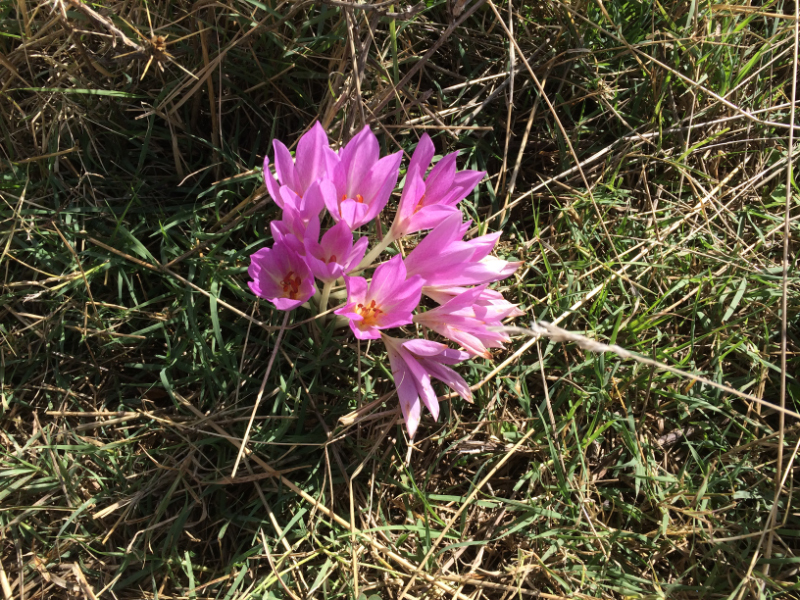 Finally, a fall favorite everywhere is the autumn crocus -- Colchicum autumnale. We came across several patches of these poking through the leaf litter. They are easily recognized by the pale violet or pink flower with no accompanying leaves. The leaves, which emerge then die back in summer, are extremely poisonous and are the source of the drug colchicine. They are easily grown in our area.